It's the bank holiday weekend and I'm sure there are lots of you who are taking a nice long lovely weekend break! Packing can be stressful as you can never be completely sure of what you need, but there are always some basics that should be with you at all times: Headphones, moisturiser, sunglasses.. Whenever I'm going away I like to try and plan outfits in advanced and I love splurging on new statement pieces like this embroidered jacket from Topshop. 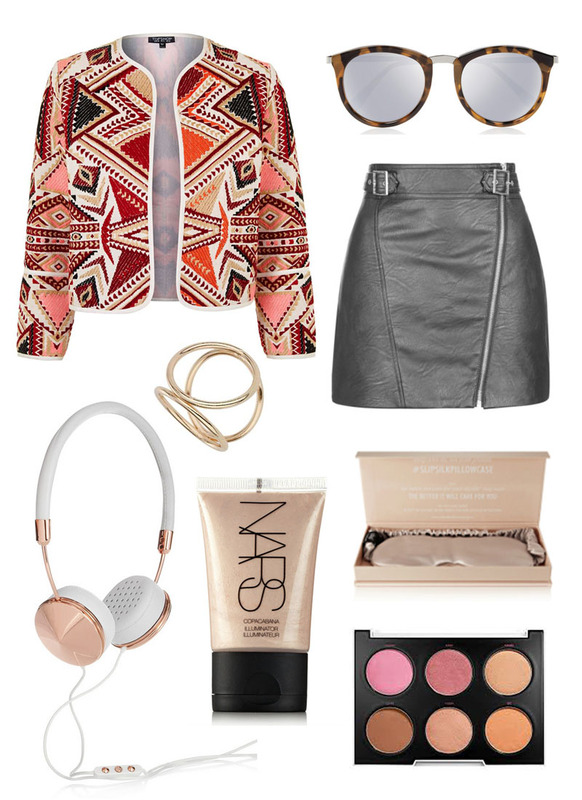 Scroll through my getaway picks below and I hope you find something essential for you! 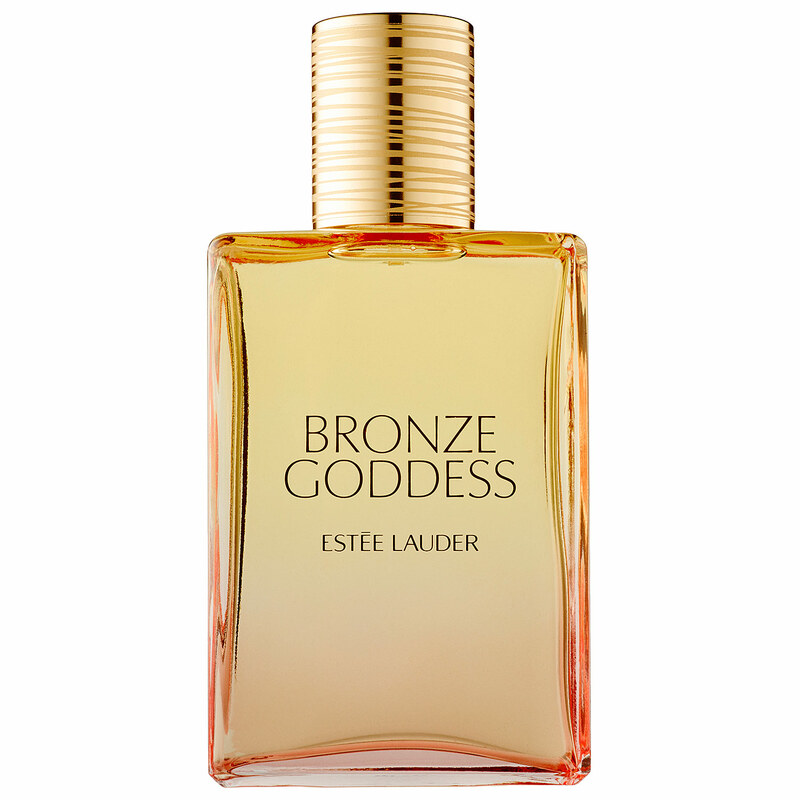 Estee Lauder's Bronze Goddess is a very exquisite fragrance that resembles all things summer. I first came across this perfume a couple of years ago where I actually thought it was a face and body mist that you take away on holiday with you. Fast forward to now, I recently started interning at Look Magazine and the beauty girls were also raving about this product! That's when you know it's a must have. Every year Estee Lauder bring out the Bronze Goddess collection with a few beauty products (the bronzer is a must have!) for a limited amount of time so I would definitely try to get your hands on it if you can. The beautiful gold packaging makes it unmissable and it's the perfect summer product to have with you. The sweet vanilla undertones of the scent resembles warm summer days at the beach and it idolises the perfect holiday in a bottle. The fragrance is available online here if you want to get your hands on it asap, otherwise it's available in most department stores and Boots. You can also shop the Estee Lauder Bronze Goddess beauty range here. 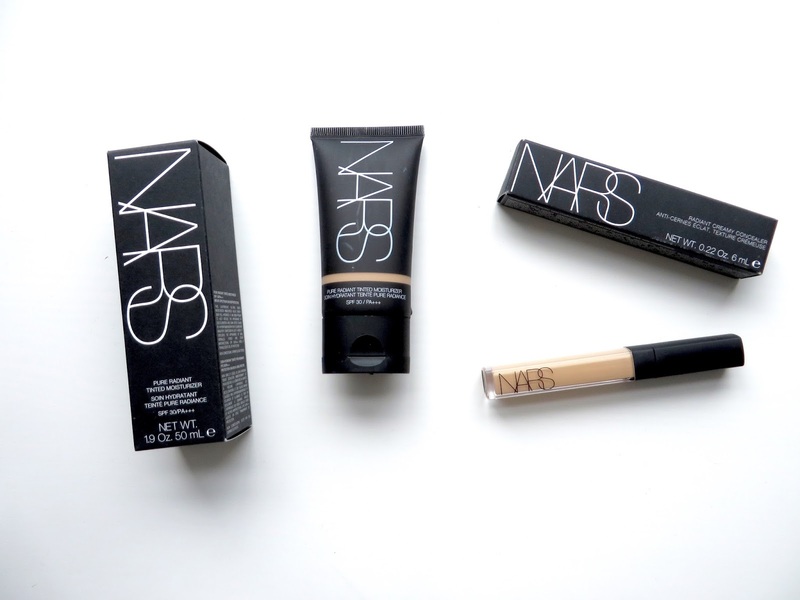 Nars are one of one of my all time favourite brands. 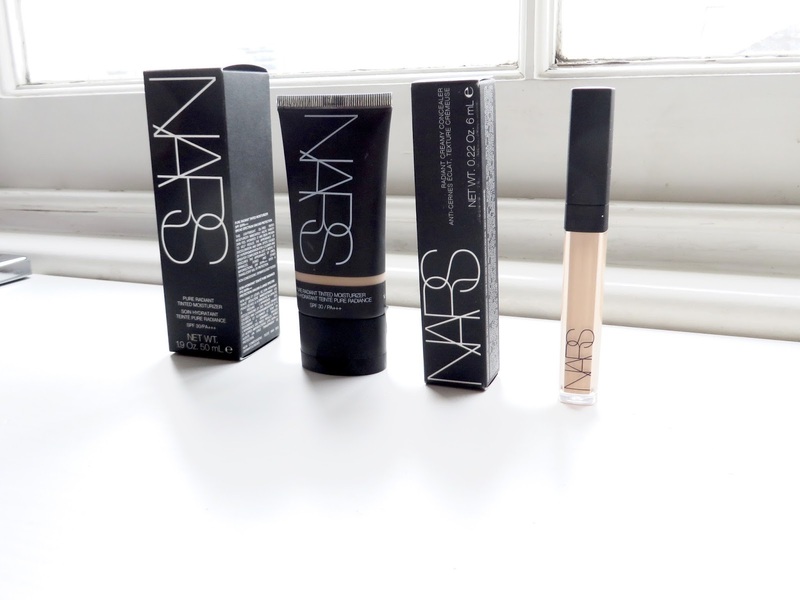 When it comes to bases, they make my favourite foundation of all time, Sheer Glow, so it was no surprise that I turned to Nars when I needed to invest in a new light coverage foundation and concealer. I had heard so much about the Nars Tinted Moisturizer that if I'm being honest, it kind of put me off a little. It was hyped up so much that I already had high expectations before even trying it, and I knew it would be a big let down if I didn't like it. Luckily I wouldn't be writing this post if that was the case and it's turned out to live up to all the raves and reviews I've seen and it's an amazing tinted moisturiser that I really recommend you try. What stood out to me about this product was the coverage. It feels incredibly lightweight on the skin but somehow manages to cover as well as a medium base would. I wanted something a bit lighter for my no make up days and for the summer when I needed to wear a decent amount of SPF on my skin. This covers everything it needs to and leaves a beautiful sheen on the skin. For someone who has combination skin, I'm amazed at how this doesn't make me shiny or emphasise any areas of my skin. I wear shade St Moritz, and there are 9 shades available so I really recommend you check it out next time you're by a Nars counter. Next up is a product I've used for years, and again it's highly raved out. 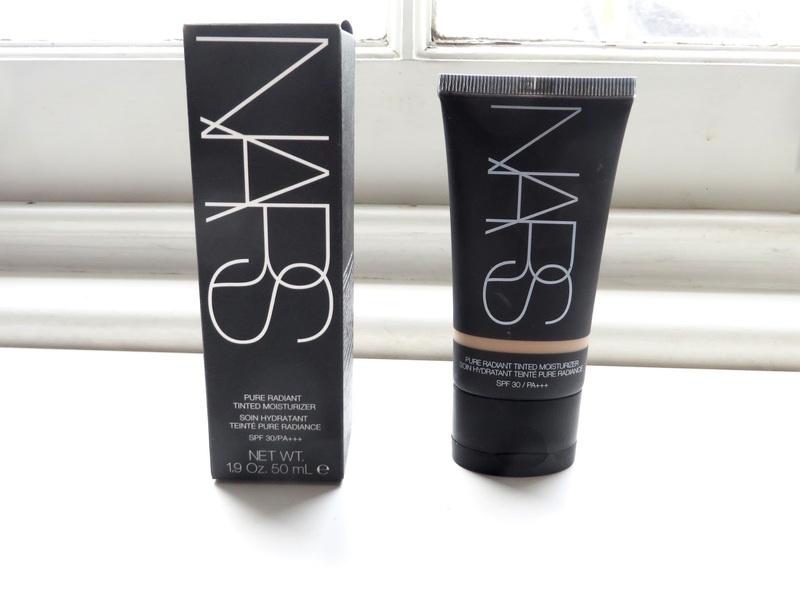 The Nars Creamy Radiant concealer is an all round great product: the coverage is great, it doesn't crease under the eyes and can be used for several purposes. It looks extremely natural on, that I sometimes just use a little of this on my skin for no-make up days and I'm good to go. If you've been following me for a while you'll know I love creating these types of posts. Now that we're finally into March, Spring is just around the corner. It's time to transition from the layers and the big coats to lighter jackets and jumpers: although in London we may have to wait a few months for this to become a reality, but we can be prepared and shop now right?